Hi, I’m Vladimir Unguru. My first name has, in fact, Slavic resonances because of my mother, as she is originally from Ukraine. 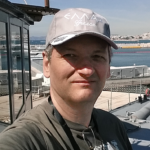 I’m currently an IT guy with a day job and part-time internet marketer and I’m also an experienced programmer for over 20 years. I’m a father of two and I’m living in Bucharest, Romania, Europe. How Did I Come Across Internet Marketing? As a never-ending quest for a better life, in the late 90s, I discovered online stock trading. I invested almost all my savings at that time, but after a few lucky transactions that gave me hope, I eventually lost everything in a matter of months! At that time I wasn’t even able to recognize a bear market. For fifteen years I didn’t want even to think about earning money online. My last experience was quite shocking! Anyway, a couple years ago when I started to search for other ways to improve my life quality, I decided that Internet Marketing is the best way to meet my goals. But it wasn’t easy. I got sick with the “shiny object syndrome”. I also spent a huge amount of money (again) on different more or less useful courses and membership sites. Sounds familiar? I eventually earned my first affiliate commission ($47) in November 2014. See the picture? 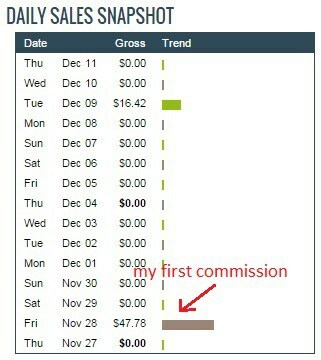 It was my very first affiliate commission ever! After I played a little bit on YouTube, the commissions started to show up more often! If there is something that works for you, then you must persist in that “something“. A few months ago I learned that the best fuel for my online business would be product creation, so combining my coding skills and online marketing continuously growing skills to create tools for marketers was the obvious decision. And so I came up with my first digital product idea. In this very moment I’m polishing the marketing environment around it (site, swipes, etc. ), so keep an eye on my blog and you’ll notice when it’s ready. In the meantime, I started this blog and now I have a sweet feeling seeing how it grows. The main goal of this blog is to show my journey throughout my online business and to provide insights and useful information for newbies and advanced marketers alike. I’m basically a technical person, which is why I’m also dealing with WordPress technical stuff, like plugins, code snippets, style sheets, security, and other tweaks ‘n’ tricks. That being said, I wish you success in your business too.